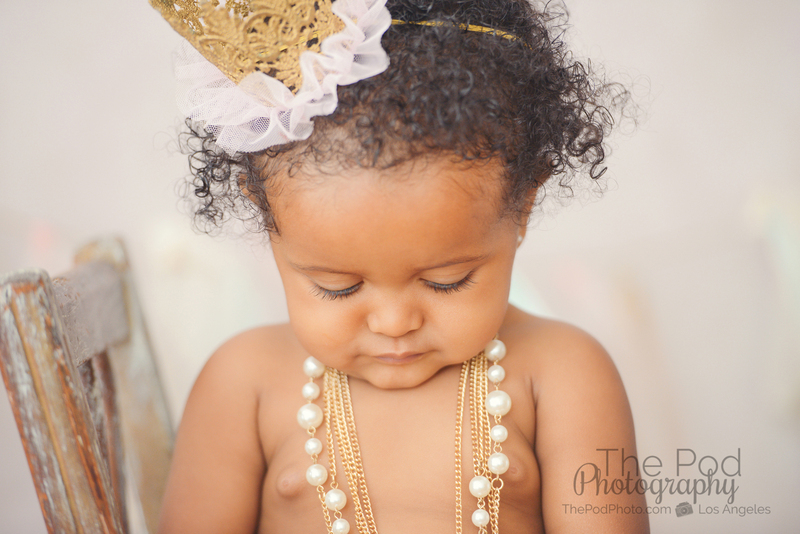 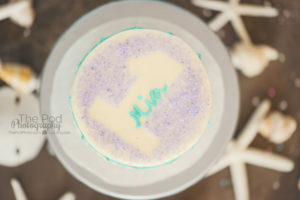 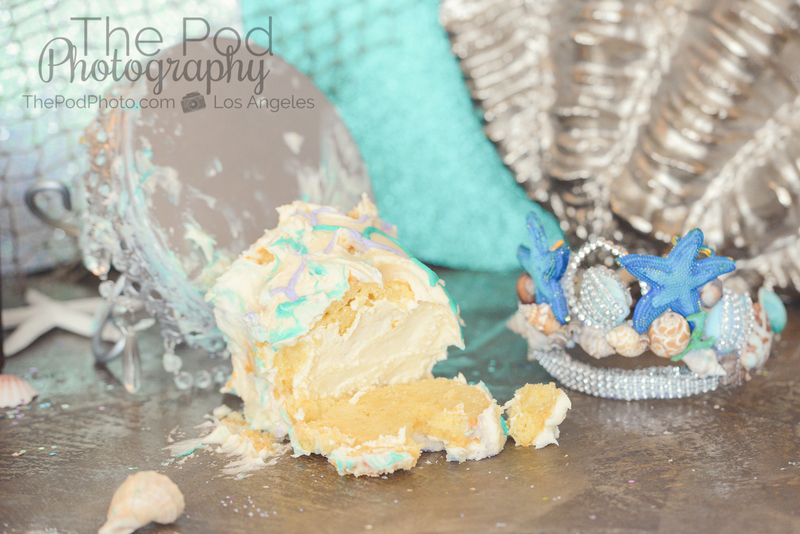 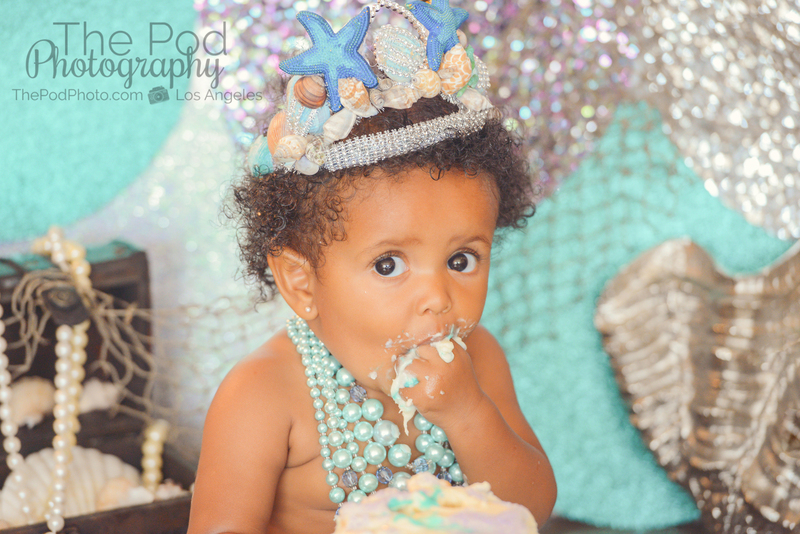 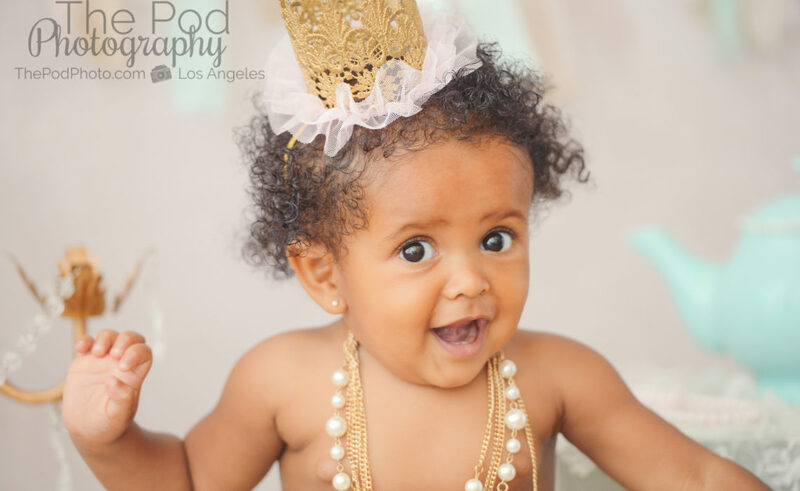 Mermaid First Birthday Cake Smash | Los Angeles Baby Photography - Los Angeles based photo studio, The Pod Photography, specializing in maternity, newborn, baby, first birthday cake smash and family pictures. Miss Mia the Mermaid turns one! 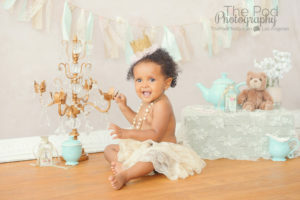 We have been photographing this little lady since she was just two months old, and she is always the biggest sweetie! 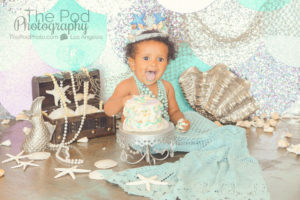 One year old photography is always a blast because you never know what kind of personality you are going to get. 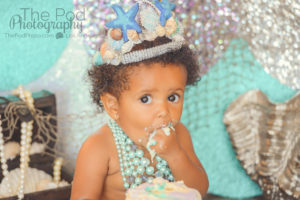 And I would say that about 80% of the time, first birthday photo sessions take a lot of trickery since babies tend to zone out a bit and are super unsure of their new surroundings, new people, and sticky-gooey cake! 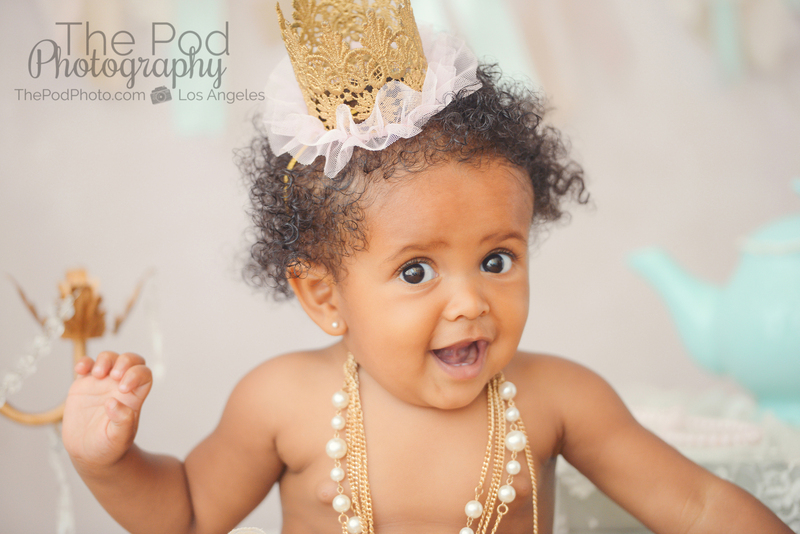 Mia, on the other hand, was Miss Personality! 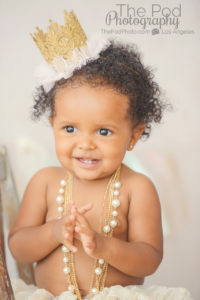 She smiled up a storm for her first birthday portraits and totally rocked the cake smash portion of her photography session! 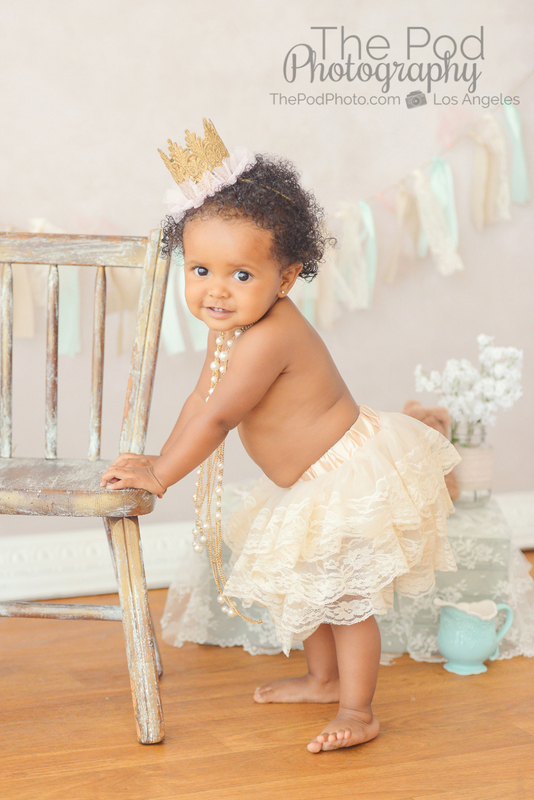 She gave us every look from happy & excited, sweet & somber, to sassy, sneaky & mischievous! 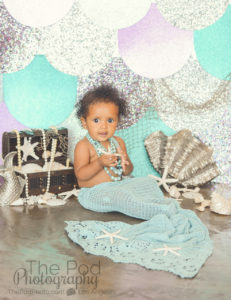 We even created a custom-designed mermaid set just for her. Mia’s aunt had made her this gorgeous knit mermaid tale, and mom stayed up all night long making her adorable seashell tiara! 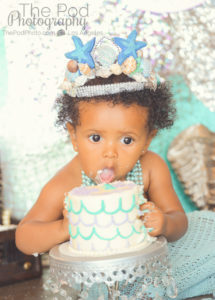 Does your little one have a big birthday milestone coming up? 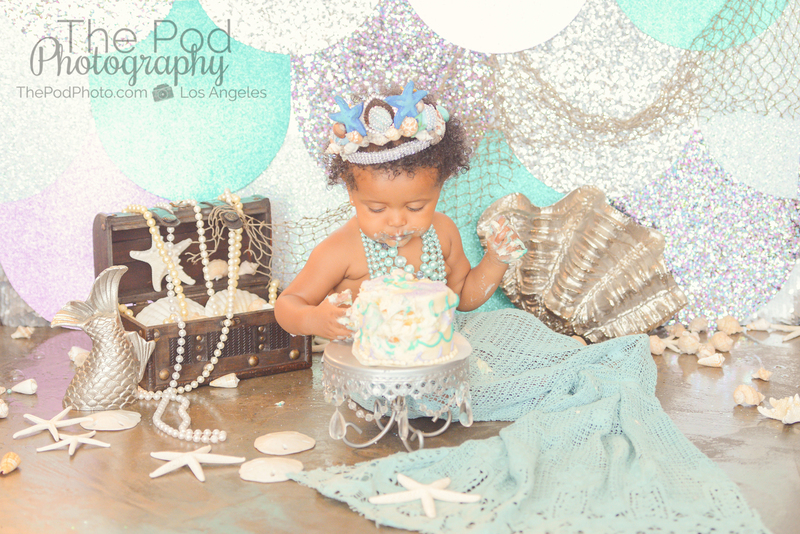 We would love to hear your ideas and bring your vision to life! We love designing custom sets just for you – call us at 310-391-4500 to schedule your consultation and begin planning your baby’s first birthday cake smash session today with the best photography team in Southern California!